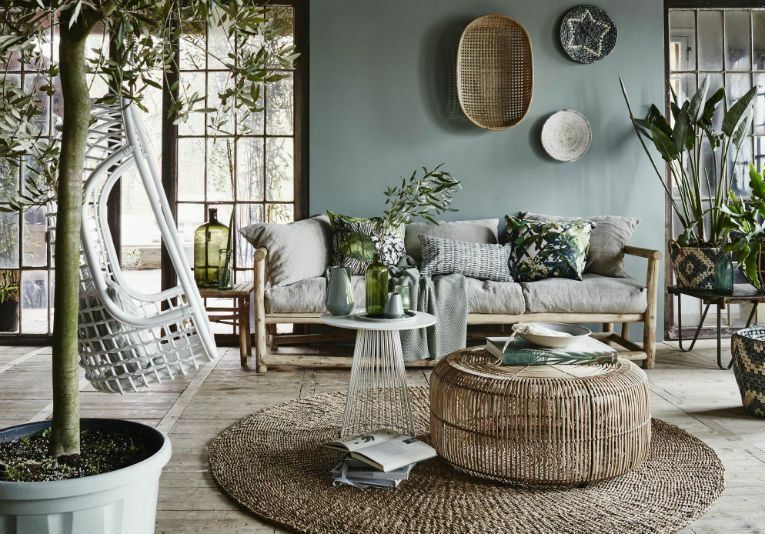 Remember I have been bashing on about updating the house, well that time has come and I've finally made a decision just in time and I am happy to welcome Spring into my home. With a glimpse of bright blue clear spring skies yesterday I am more geared up than ever to finally complete the house. The Easter weekend just went I had a massive spring clean, with a little helping hand from Leanora. Whilst I should have been taking it easy, especially as I made sure to book myself time away from work, I still found myself working, well home working, but it's a necessity and we really enjoyed it. Nothing like a good declutter at the beginning of a new season, armed with bunny biscuit fuel and a few light refreshments, recycling and rubbish bags at the ready, we set about de-hoarding. Note to self, never declutter with a charged up mad threenager who wants to keep everything that glistens in her eye, I mean we had a 10 minute argument as to why we should throw out a chewed up shimmer and shine pencil (don't ask, I don't know, and I don't care) to which resulted in her FaceTime'ing my mother to tell me off, I mean I pay the bills, kinda glad I was a bad parent and ate half her Easter egg now whilst she was asleep. I recently attended Amara's home event where they gave me some few tips on updating your home in time for Spring and how to decorate and personalise your home which I will be implementing into my home. The focus should be on the look and feel that you want to incorporate it into your home adding a little bit of you, once you have your larger items in place, sofas and beds etc, you can then focus on the accessories. This is where I have come to a halt, now whilst I have my larger items, it those little bits that bring a room to life that I've failed to purchase. I am a firm believer in taking your time, well if you like me 3 years to be precise, but it's all about taking your time and I'll tell you why. You got to start off with a budget, whilst I'll know most will go over it or hide the fact you may have done so with your partner, it is always best to have a set budget to work with, it is great for your pocket and knowing where to put your money. Look at your room and your space, a lesson learnt if you are bringing in paint for example always purchase a sample, grab a piece of paper and move it around the room, a colour will look different on different sides of the room at various times of the day, so always good to play and move it around to get a good feel. Once you have decided on your colour scheme, stick to it, you do not want soft tones clashing with vibrant colours it won't work and will throw off the whole room, no one wants to walk into a chintz circus. If you are struggling for some help, always head over to Pinterest for inspo. Nothing lifts a room and brings it to life than adding a few plants and flowers into a room. If you can not afford flowers on a weekly basis, Ikea has some amazing artificial and affordable plants, also check out H&M for some amazing vases and the ever favourite Anthropologie also. Nothing quite lifts the spirits than a candle burning, I love anything with notes of geranium or Jasmine, perfectly light and fresh and perfect for Spring. A favourite of mine is Baies by Diptyque it just lights up my mood and the house smells insane, in a good way. Looking for something a little more affordable you never go wrong with anything from H&M. Tell us what you will be doing to inject Spring in to your home?